Regular readers will know that DHC's cult Deep Cleansing Oil is one of my favourite skincare products so when the Japanese brand launches a new product, I sit up and take notice. Today's review is of the brand new Olive Body Butter, which launched this week on January 1st. Kicking off the beauty launches for 2014, DHC Olive Body Butter is introduced at the perfect time. Thanks to ingredients including shea butter, olive oil, coconut oil, avocado oil, squalane and argan oil, it's effective at treating dry winter skin. The packaging is an unassuming plastic tub presented in a flimsy cardboard box. It doesn't come across as particularly luxurious but it does have a cute Japanese cartoon quality to it. The Body Butter has a thick balm-like texture which is solid at room temperature and as such, I found it a little difficult to scoop out of the tub. When heated between hands, it melted to a lightweight milky lotion which I found to be easily absorbed into skin. A little goes a long way. It has a pleasant, fresh scent which reminded me of crisp, juicy apples in the tub but a feminine floral fragrance lingered delicately on the skin following application. It's worth noting that a slight residue & sheen is left on the skin's surface, although I didn't find this to be greasy or sticky. 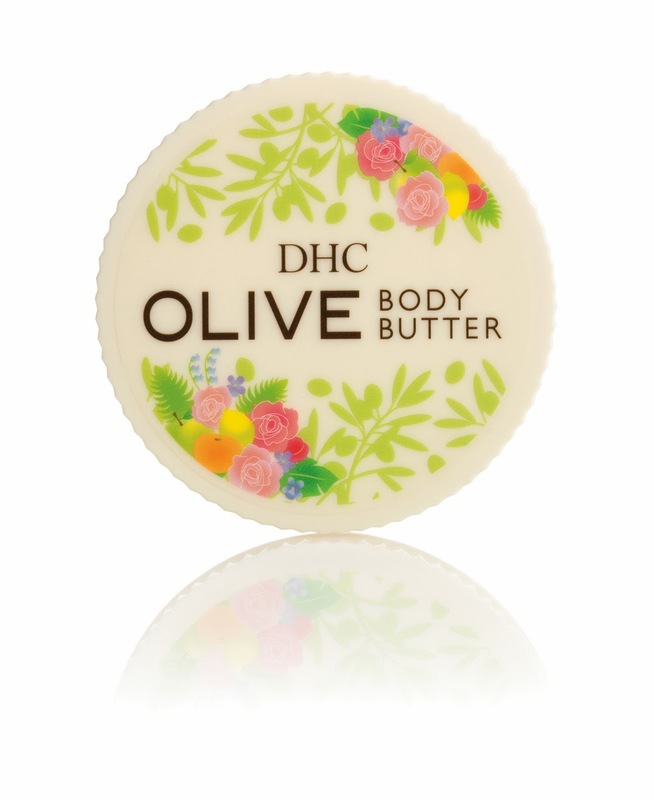 At £15.50 for 100g, DHC Olive Body Butter is not the cheapest body butter but I have thoroughly enjoyed using it and would recommend checking it out if you're looking for something a little different to the standard body butter offerings. Have you used the Body Shop lip butters? How does this compare?